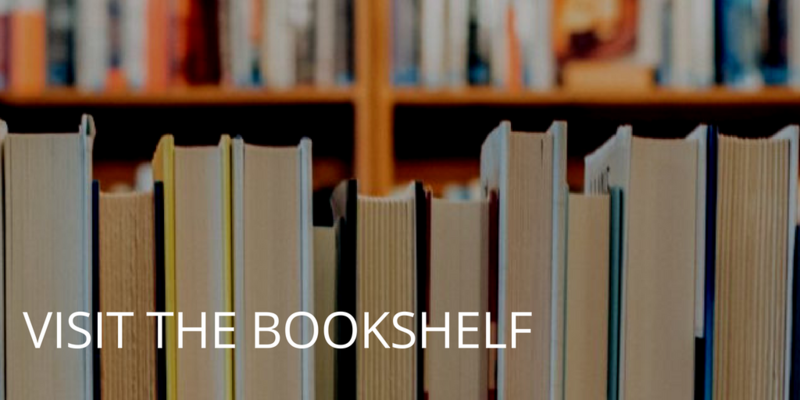 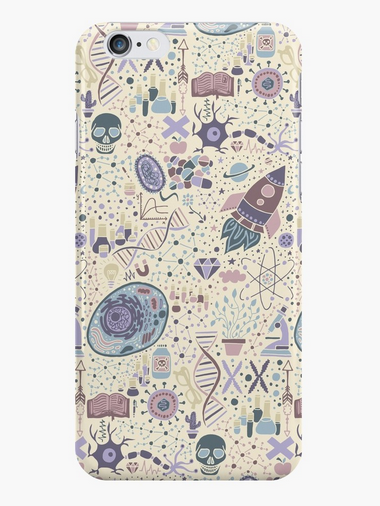 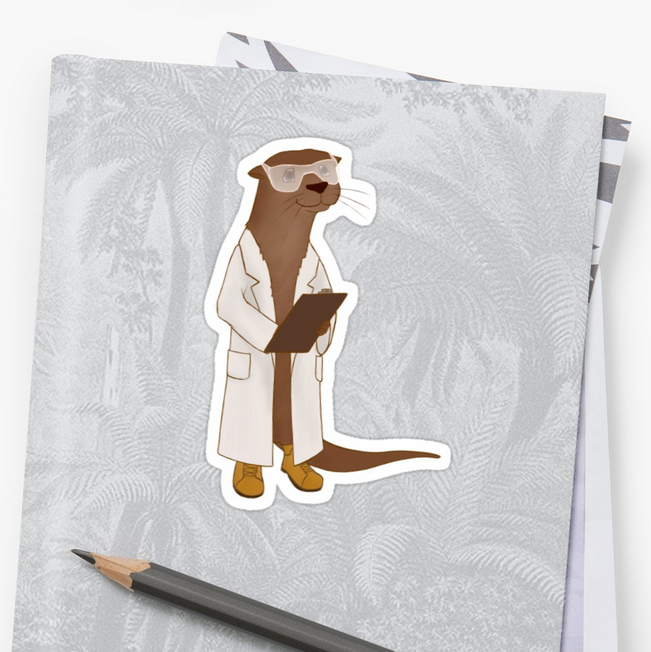 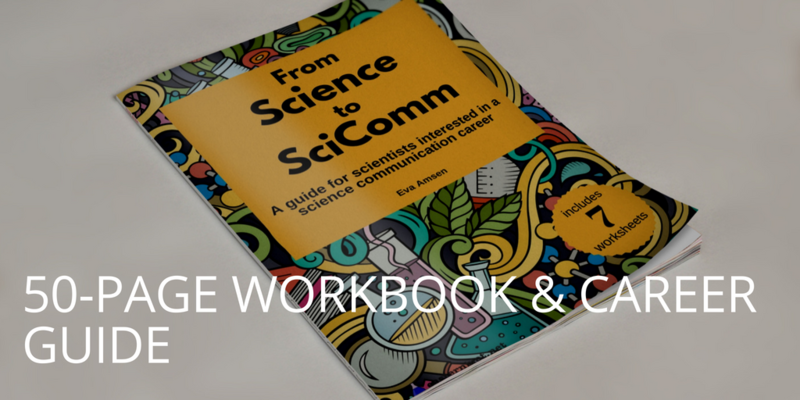 It’s been a while since I highlighted some of the fun science items you can find on RedBubble so I thought it time to feature some of the creative products available there. 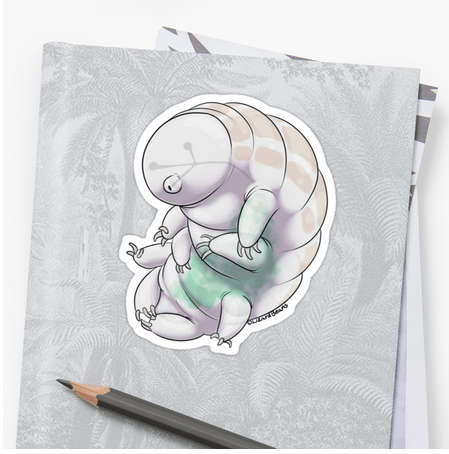 Keep in mind that all the links below are affiliate links, which means that I get a small commission if you purchase any of these products, at no extra cost to the creators. 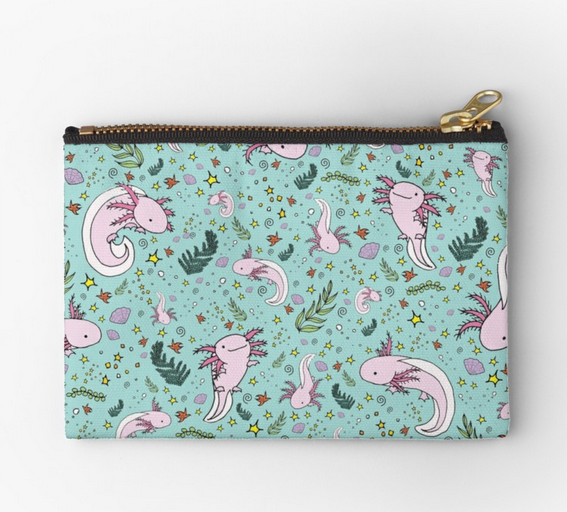 I love this adorable axolotl pouch (by Nemki). 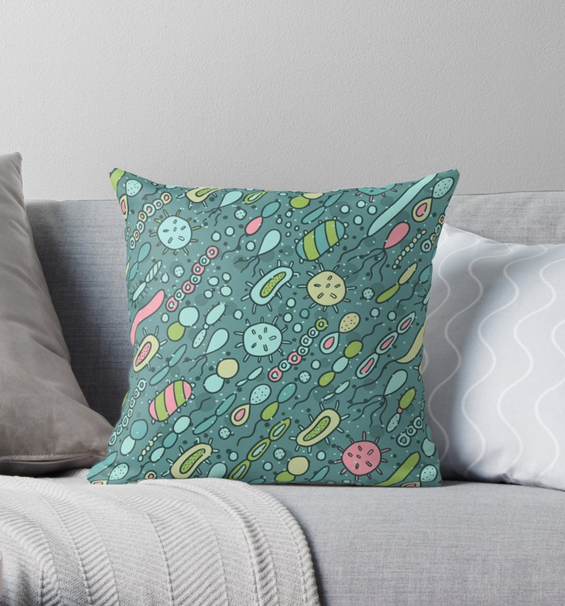 Normally you wouldn’t want a pillow covered in microbes, but you should probably make an exception for this microbe pillow by Anna Alekseeva. 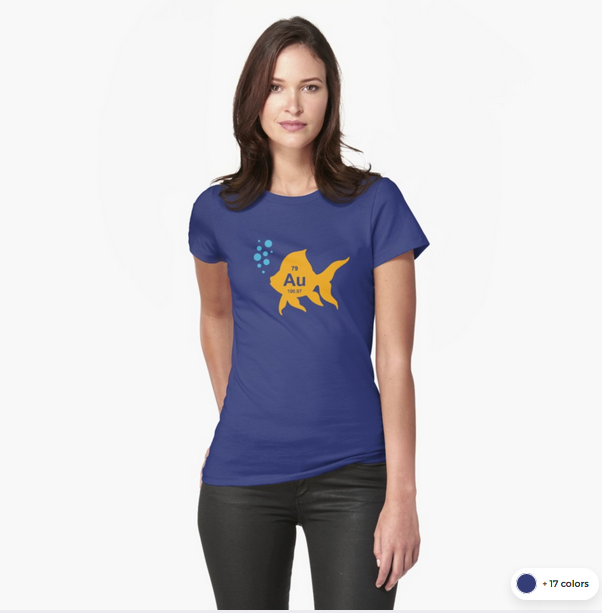 If you like puns and science and fish, this goldfish T-shirt (by TheShirtYurt) is for you. 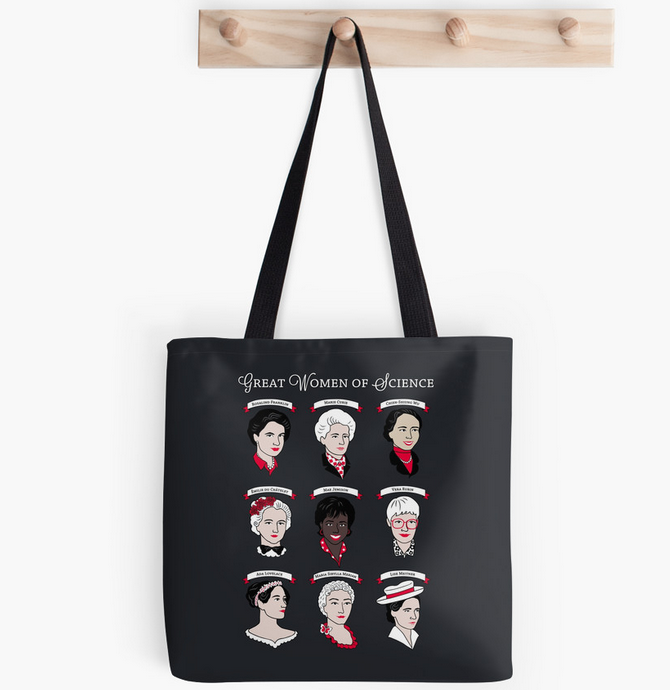 It comes in a lot of different designs and colours.